The Majur Adhikar Manch (MAM), an organization catering to the informal sector workers' rights in Ahmedabad, has taken strong exception to the Gujarat government “evicting” 56 tribal families – most of them construction workers – as part of its preparations of the high-profile metro rail project. The MAM has alleged, the eviction was in “gross violation of Metro Project Resettlement Guidelines”, pointing out, the guidelines specified under the Social Impact Assessment (SIA) report of the project specifically requires that there should be no forcible eviction, even as talking of adequate compensation. 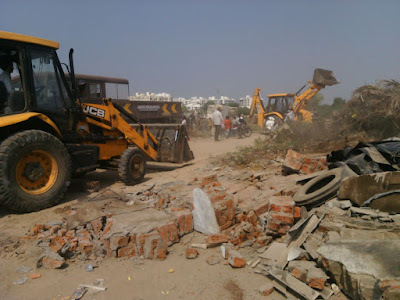 The MAM statement came immediately after a demolition squad, cosisting of about 200 workers, all belonging to the Ahmedabad Municipal Corporation (AMC), landing up at the site and demolishing the huts, even as encircling the land, and throwing out the families. 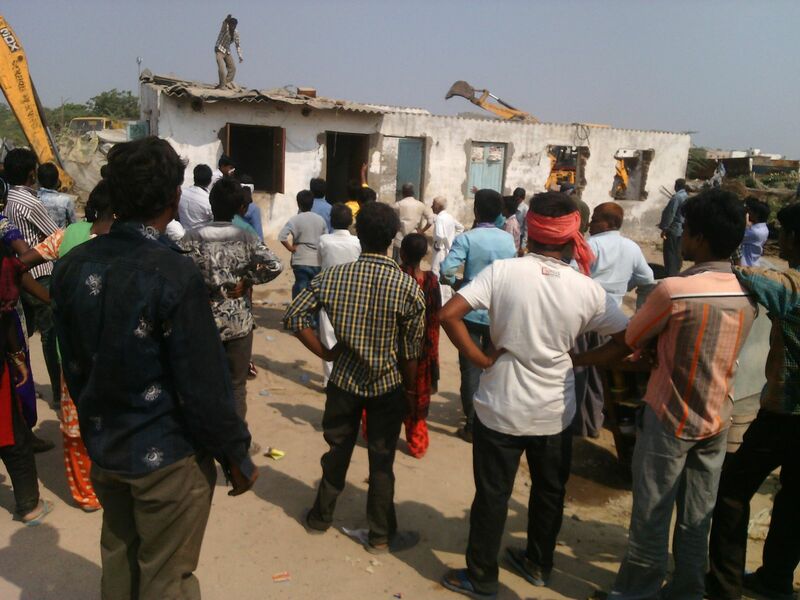 “The families were not given a single rupee. This is in gross violation of the resettlement guidelines listed above. We have given notice to the AMC authorities and demanded action against guilty officials”, MAM said. MAM claimed, citing the report, “The metro project resettlement guidelines provide for compensating even squatters, who are living on the land to be acquired. The compensation to be given to squatters is specified on page 52 of the report that is available on the net” (click HERE to download). “However, as a policy, the AMC does not count migrant tribal workers residents in many settlements around the city”, the MAM statement, signed by Ramesh Srivastava, secretary, MAM, said, adding, the MAM has been drawing attention about the need to consider them as residents “for the last five years on the issue”, yet nothing has happened. In spite of clear resettlement guidelines adopted by MEGA project, guidelines that are available on web site, the tribal families were evicted without any compensation. This shows that AMC does not count tribals as human beings entitled to human rights. They are to be thrown out whenever deemed fit.